Smiley & Me: Selfies: Fine Art Photography: Travel photography from around the world, including Cuba, Ecuador, Egypt, Germany, Greece, Guatemala, India, Italy, Japan, Mexico, Morroco, Paraguay, Siberia, Taiwan, Tanzania, and the United States. Smiley & Me fine art image. 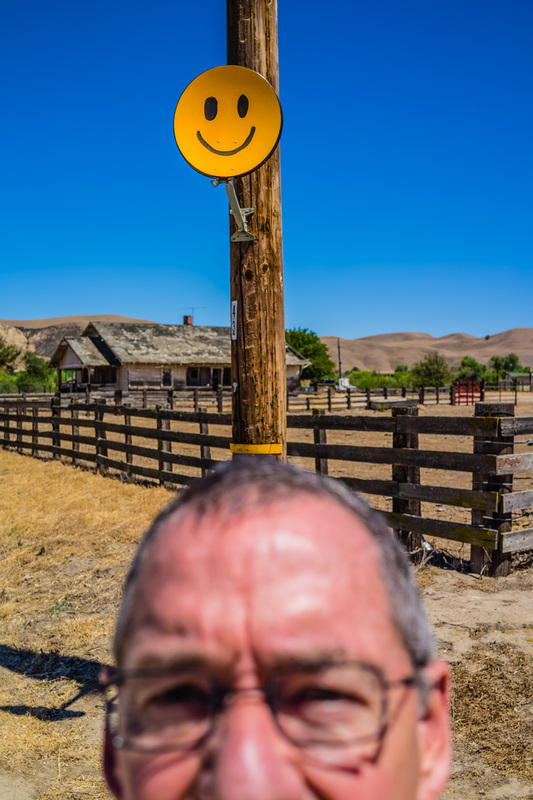 Self portrait of David Litschel with a smiley face painted on a satelite tv dish mounted on a telephone pole making a background merger with David's head.